Would you give up technology to go back in time? Today I feel a little bit nostalgic. I've been thinking a lot lately about how things changed since I've grown up. It's sad to think when we are little that we just want to be grown-up and then the time comes in our lives where we wish that we could just be a child again. I grew up in a small safe town. I loved school and I had plenty of friends. 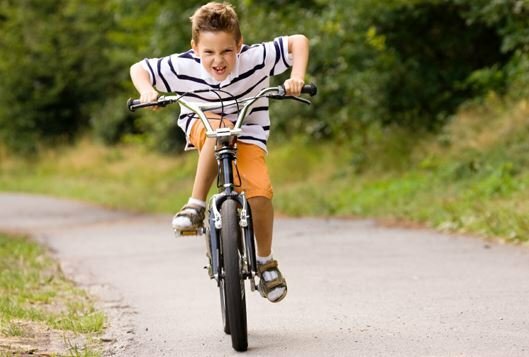 We lived close to each other and we used to ride our bicycles in the afternoons, (without helmets) without anyone worrying about where we were going because we had rules, and we listened to our parents. Our parents knew where to find us and we knew when it was time to go home. I grew up in a time where we didn't have television in South Africa so we had to keep ourselves busy and we never said that we were bored. We didn't have cellphones, computers or any of the technology that we have today, and we survived perfectly well. The closest thing to technology we had were Walkman's and radio's. I remember sitting on a Sunday afternoon recording the top twenty music hits, and it made me angry because the broadcaster used to talk for the first few seconds when a new song started, and then you had to rewind the tape and forward to get to exactly the right spot to cut out the voice of the broadcaster. We played seasonal games at school. At certain times everyone would play with marbles, until the next new craze came along. 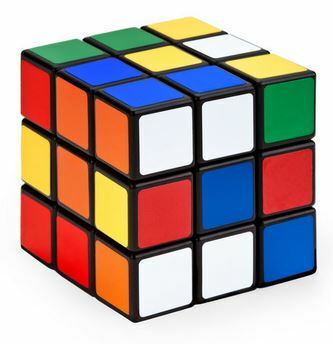 One of the biggest things that fascinated me most were the Rubik's cube, and we spent hours playing with that little cube trying to get all the colors together. I even had a neat trick where I used a spoon to take the block apart and then put it back together perfectly. We were very smart if we had a hands-free game console. 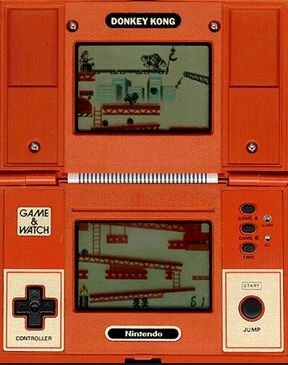 I remember I had Donkeykong 2 and I played for hours and hours just to get that little monkey to jump over the barrels. Our biggest friends were our family members and we used to play outside in the mud, building little farms with plastic toys in the flowerbeds and we were happy. We were not worried about anything, and now we worry about everything! I would give up a lot of what I have today, to just turn back the time, to live in a simpler time when life had less stress, and more fun. Would you be willing to give up technology to go back in time? Yes, go back to what works, but only to what works. Standing on stronger foundations in life helps us in so many ways. Here is an upvote. Love Nintendo so much. You can give up on bad technology, if it is getting in the way of whatever that may be better. It is a fundamental question that takes a holistic perspective that is comprehensive enough. For example, I'm against the dangers of 5G. I would rather have wired Internet as opposed to WIFI that is getting into my brain, literally, through the air. My brain hurts near phones. So, I try to stay away. Thanks. Upvoted. Your UA account score is currently 5.381 which ranks you at #668 across all Steem accounts. Your rank has improved 112 places in the last three days (old rank 780). In our last Algorithmic Curation Round, consisting of 270 contributions, your post is ranked at #33. Playing barefoot in the veld, building mud houses on hands and knees running our cars (metal) around our homemade towns. Shooting bottles with a kettie (slingshot) everything outdoors. There were no boundaries for the imagination, walk or cycle to school about 5 km away. Sport most afternoons after school, always actively participating or supporting in team sports. Holidays on trains, the absolute best! Now I do feel the simpler life is missed in many ways. Health wise, we knew what we put into our mouths was not going to kill us or make us ill. Shelling peas on Saturday for Sunday lunch 4 children a heap of peas being podded out while we either had to sing or whistle! Why you may ask, it was to stop us sneaking a lovely fresh pea into our mouths, you were there to do a chore not devour the Sunday meal ahead of time. No TV only a radio till around 16 years of age, no telephone before around 14 years, so yes it was trust and a great bit of parenting on our parents side, trusting chores were completed, of which we each had one. Move on we must, the new generation will one day sit and ponder their years growing up, wonder what that will sound like.